Learn and enjoy this summer with Cogniz Info Tech. 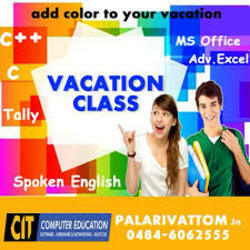 We have well trained and qualified faculties to guide the students. Classes starting on 2nd April 2018 to 31st May 2018 from 8 am to 7 pm. Contact us on : +91 9895395544 ( Call / WhatsApp ).